An Independent League team, the Laredo Broncos, have hired Jose Canseco to DH and bench coach for their next two homestands. 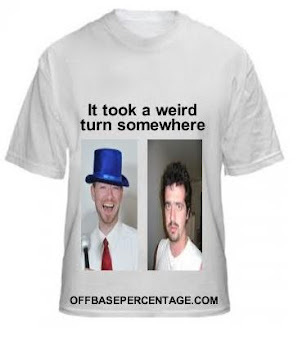 Baseball's favorite snitch was hired by the Broncos for his hitting acumen and positive clubhouse presence but certainly not for a publicity stunt. Isn't that right, some guy who fell into the General Manager position? "We gave him this option," Broncos general manager Jose Melendez said on the team's website. "He felt baseball was over with. We're the ones who encouraged him to come back and return to the game of baseball and back to where his beloved fans can see him again." "He's going to do a lot of work with kids, doing a lot of camps," added Melendez. "Doing all this for an independent team is a lot of sacrifice on his part. Jose is an amazing baseball player and accomplished so much in his baseball career, it would be great for the rest of the Broncos players to learn from him as well." Like I've always said, if you want your young, impressionable ball players to learn the game, hire baseball's most famous dope fiend. Sure, it will probably sell a few more tickets but you can't honestly expect me to believe Canseco is going to be a role model for some not-even minor league kids. He's stuck more needles into people than your local tattoo artist. Does anybody think Canseco is doing this for the good of the game instead of his cash deprived wallet? Canseco was recently evicted from his home in California for a lack of paying rent. 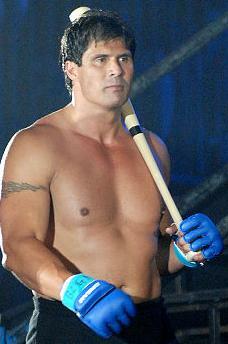 It's too bad Canseco's MMA career stalled out after Hong Man Choi pummeled him at Dream 9. I'd pay to watch Canseco get beat up roughly twice a month.